Pet goats and sheep are very popular farm animals, even with people who don't have a farm. They're adorable, are fun to watch climb and jump on things, and can be great pets if you have the space for them. But choosing a name for these little characters can sometimes be a challenge. Thankfully there are plenty of ideas from other goat and sheep owners to use to inspire you. Check out this list of names to find the perfect one for your pet. And if you've already named your goat or sheep, find out if its name is on the list! Billy: All male goats are "billy goats"
Nanny: All female goats are "nanny goats"
Billy Goat Gruff: From the famous tale "The Three Billy Goats Gruff"
Bo Peep: Though Little Bo Peep lost her sheep, her name is inextricably tied to all sheep for all time. The word "goat" is terrific for puns, as are goat behaviors (head butting) and the word for baby goats (kids). Punny names are a lot of fun! Here are a few, most from the Ranker website. What's the Perfect Name for a Pet Goat? The baaing sound that sheep make provides a great starting point for some punny and funny sheep names. Here are some to consider. Goats and sheep are usually one color. While the majority are white or black, some are gray, brown, or reddish. 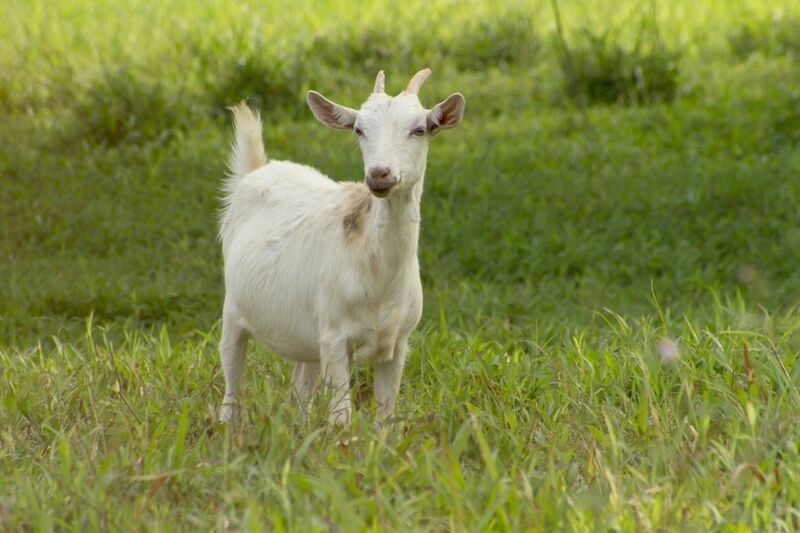 Goats have horns, and Billy goats have little "beards." Sheep have curly fleeces. Based on your pet's appearance, you may want to choose one of these names. White sheep and goats can be named for almost anything that's white in color. Snow, milk, and cream are just a few possibilities. Black sheep and goats are unusually beautiful, so it seems right to select a beautiful name based on their color. There are many black things in nature, but these are a few names to get you started. It's amazing how many pets are named for foods, especially when they're brown or tan in color. Here are just a few of the many "brown food" names that might be right for your pet, along with a few other options just for good measure. Pretty much all sheep have soft curly fleeces, so it makes sense to choose a name that reflects their most important feature. Here are some ideas to consider. Do goats' horns and beards make you think of the devil? If so, you're not alone. Many depictions of the devil, as well as stories and paintings, make him look an awful lot like a cross between a person and a goat. Devil-related pet names aren't for everyone, but they're certainly unusual and stylish. Here are a few, along with other horn and beard-related possibilities. It can take time to pick that perfect name. Get to know your goat or sheep for a little while. Observe him, find out what he likes to eat, if he is active or shy. You'll think of a name or find one you like eventually.